Coated Metals Group is an industry leader in providing a full line of rain carrying systems and rainware accessories. CMG offers a wide variety of colors and sizes in pre-finished steel and copper gutter coil. 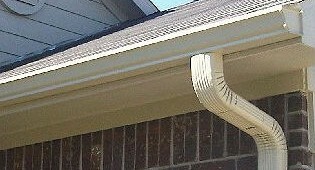 To compliment these products, CMG also offers a full line of color-matched downspouts and elbows. The entire line of fully warrantable rain-carrying products is manufactured by CMG, with the attention to quality and craftsmanship that you’ve grown custom to expect to us!